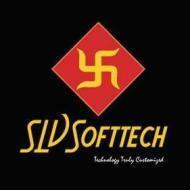 SLV Softtech offers services for web designing related programs. We provide Placement assistance, training, and opportunities that improve knowledge and skills. We give you training based on current industry standards. Building a strong portfolio with highly built resume for Web Designing Training. SLV Softtech academy the leading Website Designing Training Institute in South Bangalore offers classroom sessions which are fully based on practical session. SLV Softtech conducts classes in Adobe Illustrator, Adobe Photoshop Training and Graphic Designing. It is located in Banashankari 3rd Stage, Bangalore. It takes Regular Classes- at the Institute.